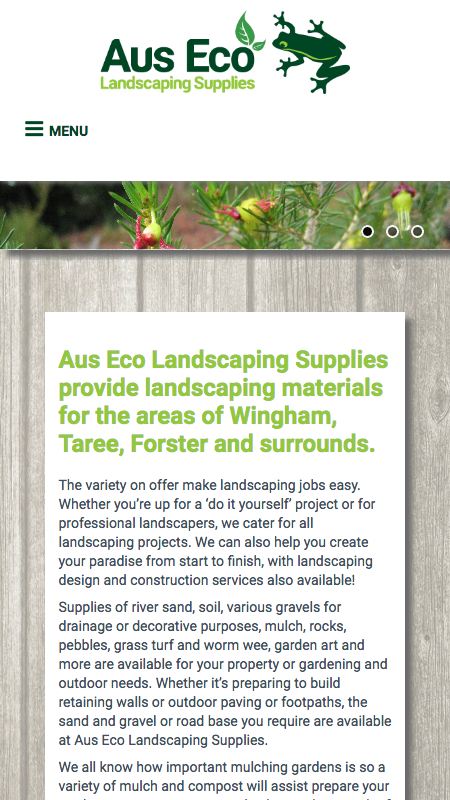 AusEco Landscaping Supplies provide landscaping materials to the region encompassing Wingham through to Forster and surrounds. They also provide design and construction services. 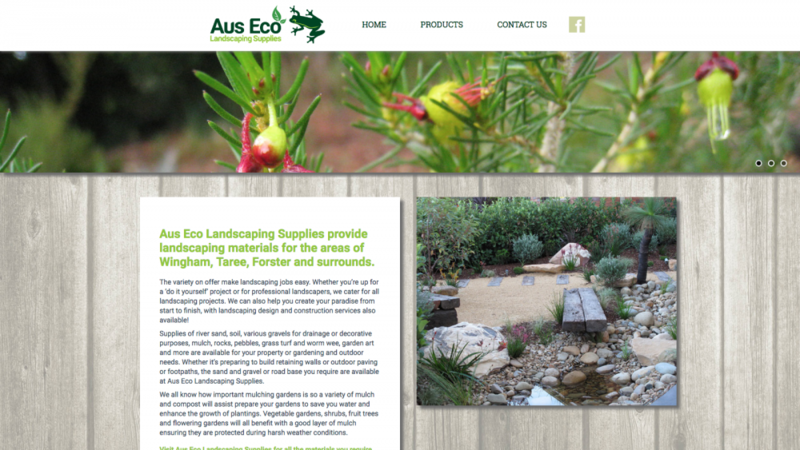 Coming from a background of conservation, Aus Eco’s emphasis is on creating a natural and beautiful setting. We were asked to tweak an existing brand by creating a more graphic frog icon and developing supporting graphics to give the brand more flair and interest. 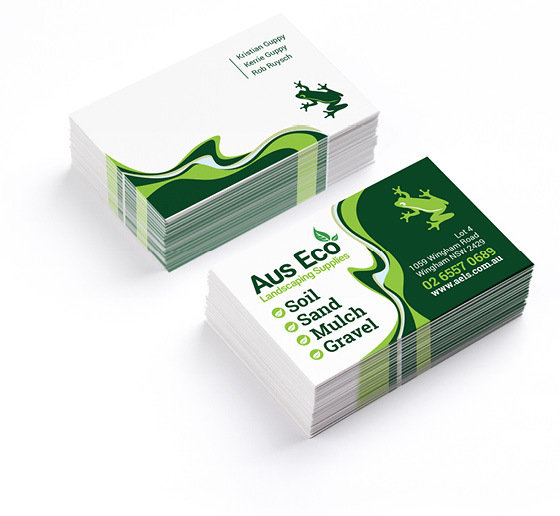 A simplified frog was created as a supporting graphic to give the brand personality. Also a dramatic wavy swoosh represents the forms in a landscape. 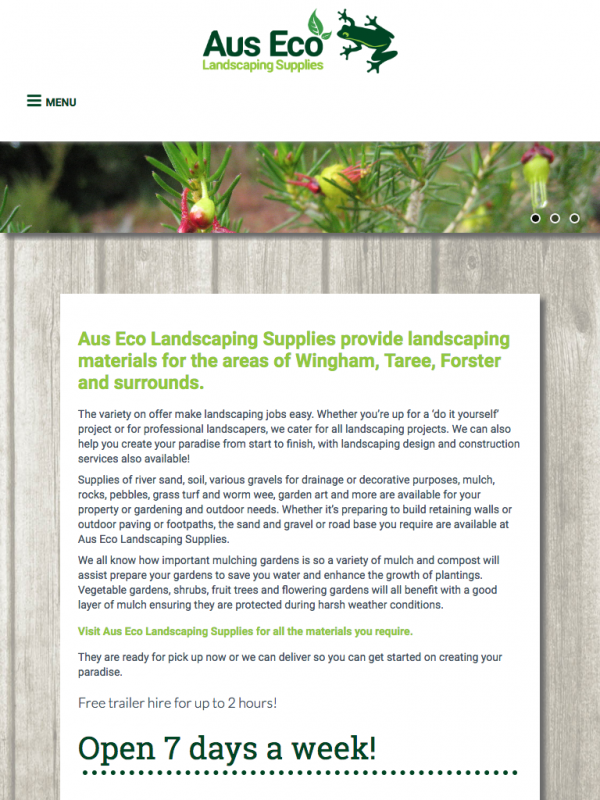 The brand has been rolled out on signage, vehicles, business cards and a website.